In A Nutshell: The most powerful next generation console; share your gaming experiences via social media; integrated with your iOS and Android devices; watch Blu-ray discs, online gaming, download games, stream music, movies and TV. Hard Drive: An impressive 500GB worth of storage. Exclusive Games: Killzone: Shadow Fall, Knack, inFamous: Second Son, The Order: 1886. DualShock 4 Controller: A major design improvement on the DualShock 3 gamepad with great features like a 3.5mm headphone jack, a touchpad, built-in speaker and a 'Share' button, allowing you to instantly share your gaming moments with screenshots or video and upload them directly to your Facebook page. Or broadcast yourself LIVE via Twitch TV or U-Stream. Cool PlayStation 4 Accessory: The PlayStation Eye Camera delivers high quality video and audio for some incredible, innovative gaming experiences. It also features voice and facial recognition so you can sign in to your PS4 with your face and use voice commands. 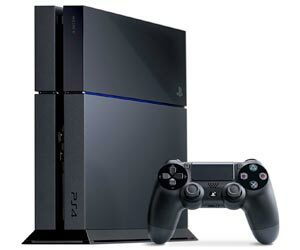 PS4 is a Good Choice For... Gamers after the best in next generation gaming technology, social media fans and TV, music and movie buffs. Gaming, Movies, Apps, Video Sharing, TV Streaming, All-in-one entertainment system. Hard Drive: A whopping 500GB. Games Exclusive to Xbox One: Ryse: Son of Rome, Dead Rising 3, Forza Motorsport 5. Connect to the Internet: As with the Xbox 360 the Xbox One features the fantastic Xbox Live network, great for online gaming, TV, music, movies and more. Download or stream movies, TV series or games in full High Definition 1080p and 5.1 surround sound on fantastic streaming apps like TED, Crackle and more. Cool Xbox One Accessory: The Xbox Kinect camera conveniently comes with the console bundle and has received an upgrade from the Kinect associated with the Xbox 360. 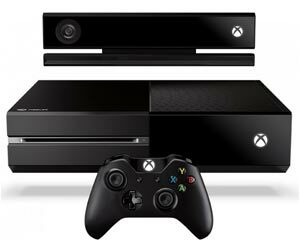 Facial recognition signs you in to your Xbox One automatically and voice recognition allows you to control your Xbox One with simple commands. The Xbox One is a Good Choice For... Gamers, especially if you like to play online, and having all of your entertainment needs in one place - games, movies, music, TV, Skype and a bunch more. In A Nutshell: Play games, watch DVDs, connect to the Internet and watch Foxtel or stream movies through Xbox Video. Hard drive: Choice of 250GB or 4GB model. A Few Games Exclusive to Xbox 360: The Halo series, the Gears of War series and the Forza Motorsport series. Cool Xbox 360 Accessory: The gaming headsets are compatible with most online games like Halo, for teamchat and group chat between users. 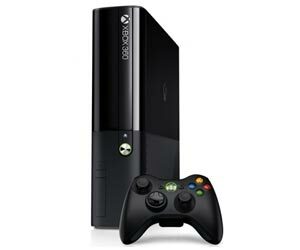 The Xbox 360 is a Good Choice For… Online gamers and home-entertainment buffs.